If you are like most people, you have to carefully monitor your finances in order to determine which products are worth purchasing. You have likely seen one or more brands of gutter guards advertised on the Internet and perhaps you have wondered whether these gutter guards provided a valuable function of if they are simply a waste of money. Truthfully, gutter covers can make your life as a homeowner less stressful. 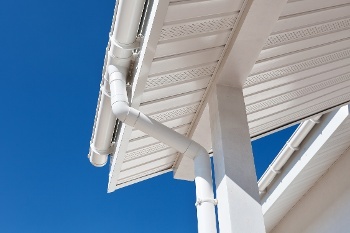 Here are seven benefits from installing gutter guards to your home. With gutter covers, debris from the roof and overhanging trees can't slide or float into your gutters; instead, they will be repelled by the gutter covers and fall harmlessly to the ground. You won't have to worry about those nasty leaf clogs again. Cleaning gutters can take several hours of your time or $75-$250 to hire someone else to do it depending on how much guttering you have. Gutter guards eliminate the need to clean your gutters so you will either enjoy more free time or have the saved cash in your pocket. Even a single rainstorm with dysfunctional gutters can significantly erode landscaping. The misdirected rainwater can also find its way into your basement and cause interior damage, but with gutter covers, you won't lose any sleep over those troublesome scenarios. If frozen water (in any form) accumulates inside your gutters, the excess weight can cause buckling, separation, or detachment of your gutter sections. But if the snow, hail, or ice cannot get into your gutters in the first place, then your gutters don’t have to handle any unusual stress. If your gutters are clogged with debris, rainwater and melted snow or ice has nowhere to go and often spills over the gutter's edge onto the ground near your home. This may not seem terribly damaging; however, over time, the excess spillage can seep into your foundation and cause buckling, cracking or shifting, which in turn may cost thousands of dollars to repair. CT gutter guards prevent animals from building nests or dens inside your gutters. So the area’s birds, possums, rats, squirrels, raccoons, and feral cats won’t be able to construct a home there. Since you no longer have to worry about gutter cleaning, you won’t have to subject yourself to potential injury by climbing up to scoop debris out of your gutters. That means you won’t become one of the tens of thousands of Americans who visit emergency rooms each year due to falls from ladders.